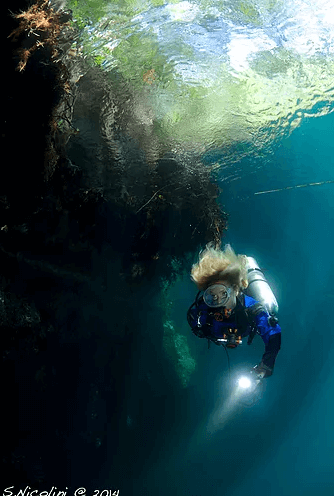 UNDERWATER IS CURIOSITY, WILL TO KNOW, EXPLORE …. Thanks to the particular conformation of the coast the Argentario with its islands offers more than 50 diving points suitable for all levels of experience. The diving center organizes single and full day dives to the islands of Giannutri, Giglio and along the Argentario coast. Join us for 6 days of wall, cavern and wreck diving to explore some of the most beautiful diving spots in the Mediterranean Sea. Our renowed Adventure diving package celebrates its 5th editon with special offers for those who wish to combine a Recreational Week with a Nitrox or Advanced Diver course and dedicated rates for rebreather divers. Join us for 6 days of technical diving to explore some of the most beautiful shipwrecks and walls in the Tuscany Sea. Special offers for those who wish to combine the Tech Week with a Tech1 or a Tech2 course and dedicated rates for rebreather divers.